If ever a generation shared a common experience, it was the “Baby Boom Generation.” Most television markets had three stations, whose programming was controlled by three major networks. Prime time was 8:00 to 11:00 PM. Radio stations (all AM) were dominated by Rock and Roll’s “Top 40” hits, played over and over again, providing the common soundtrack of the generation’s experiences. School consisted of “readin’, writin’, and ‘rithmetic’”; “history, shop, and Home Economics,”– eight periods – 8:00 AM to 3:00 PM. Team sports practice after school: mandatory. Chores after practice: mandatory. Church on Sunday: mandatory. And you better be on time for all of them! All this to produce tomorrow’s generators of widgets, grainfields, spreadsheets, and documents. But common experiences and rote preparation for one’s place as a cog in society’s machine does not necessarily translate into common thoughts. You might own my time and effort, but you can’t own my mind. 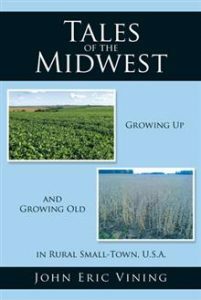 This is a peek into the last bastion of Middle America: the Midwest. Two boys who grew up there in the heyday of the Baby Boom Generation, Bob and John Vining, wrote about some of their common experiences and uncommon thoughts. This anthology is the timeline of their lives, but it might resemble the timeline of yours as well. Accept the challenge to open the pages and find out!